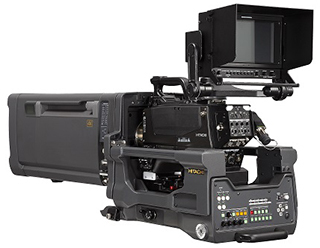 SK-UHD4000 Ultra High Definition Studio and Field Camera | Hitachi Kokusai Electric America, Ltd. 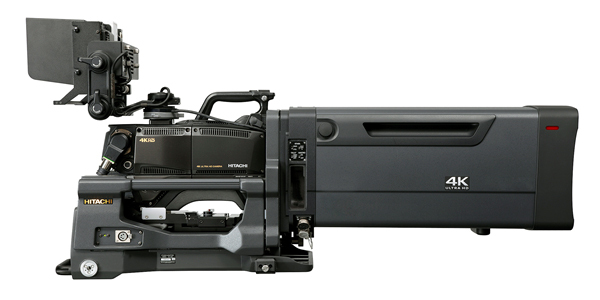 The SK-UHD4000 was the world’s first UHD camera to employ industry-standard B4 2/3 inch bayonet lenses. 2/3 inch sensors deliver the deep depth of field and high sensitivity needed for traditional TV studio and sports production. Additionally, broadcasters, rental houses and mobile sports trucks have huge investments in existing B4-mount HD television lenses. Many single sensor 4K TV production cameras have been prohibitively expensive due to the special lenses required. Employs B4 [BTA S-1005A] 2/3-inch industry standard lenses. B4 lenses have a standardized image size, flange-back distance and electrical interface. Compatible with existing and future HDTV broadcast, bayonet mount lenses from all manufacturers. 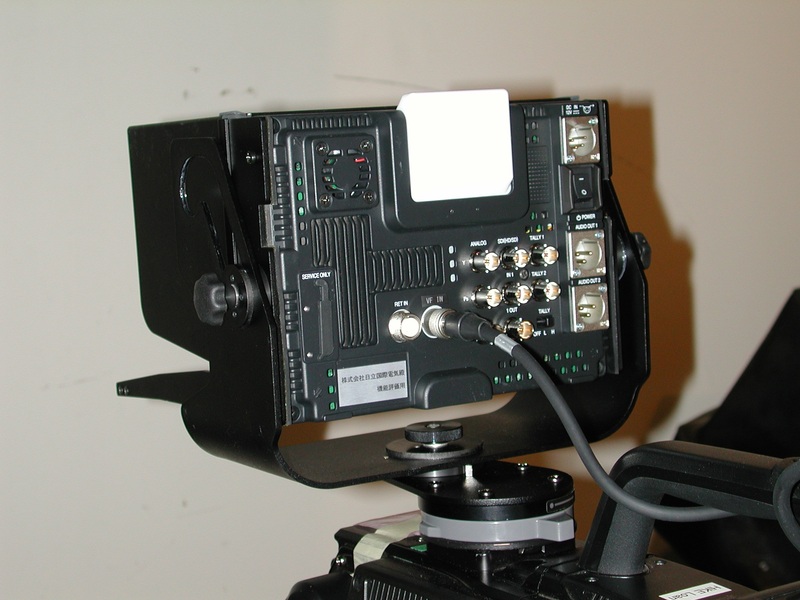 Allows 4K productions using HD B4 mount optics without any sort of attenuating adapter. Unique Hitachi 4 port prism best preserves the lens MTF (Modulation Transfer Function) that provides the maximum contrast in 4K images. 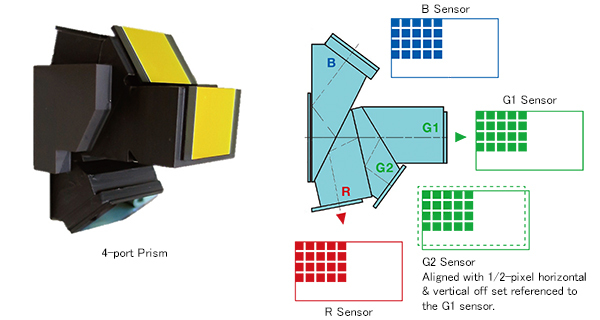 The camera's optical block employs 'dual-green' and 'pixel offset' technologies to dramatically increase resolution in the Y (luminance) channel. See details of Hitachi’s unique 4 port imager system. Hitachi's advanced digital signal processing (DSP) creates ultra-high resolution images from a total of 8.8 million effective pixels. Provides independent cut-out of HD SDI image from 4K raster that can be re-framed in real-time. Functions as a normal HD (1920x1080/60p) camera while recording 4K in real time. Employs the NEW HITACHI RLAC [2- Dimension Real-time Lens Aberration Correction] system that eliminates most lenses’ lateral chromatic aberrations. Designed around the latest generation of CMOS sensors. High Signal to Noise Ratio of 62dB. High sensitivity of F8.0 is achieved in full UHD [3840 × 2160/59.94/P] progressively scanned image. Super-sampled 1920x1080 HD-SDI outputs (down-converted from 4K) offers superb picture quality. Retains a faithful 4:2:2 color space at 10-bits/sample. Camera head power consumption: <38W. Employs existing SMPTE-304/311 Hybrid fiber cable and connectivity. Two HD (2K) progressive outputs directly from the camera head. Available Studio Adapter for use with all broadcast long box, compact studio and hand-held 2/3-inch bayonet lenses. Cable-less Studio Adapter interface allows maintenance and trouble free operation and reliability. 2-piece dockable design allows easy configuration change, maintenance and robustness. 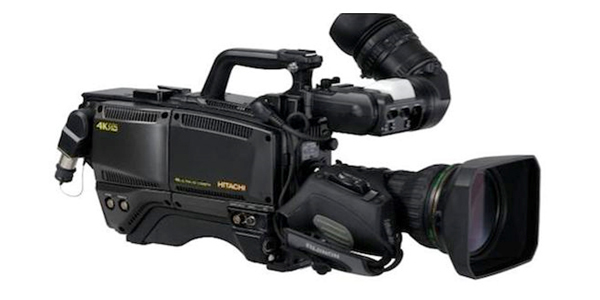 Maintains backwards compatibility with existing HITACHI HDTV control panels, cables, and viewfinders. The SK-UHD4000 is a perfect drop-in replacement for existing HD studio and field production cameras. Ethernet control and assignment of control panels and CCUs [camera control units]. Operates over lower-cost, single-mode, fiber cable without additional external hardware or cable adapters. Simultaneous 1080p/1080i/720p HD-SDI and SD-SDI outputs. NEW* Optional system upgrade for CU-UHD4000-S7. Simultaneous HDR and Standard Dynamic Range (SDR) outputs. This option allows separate video shading adjustments for optimizing both HDR and SDR output pictures. Available for all new 4K/ UHD CCUs. NEW* Optional system upgrade for CU-UHD4000-S7. 12G SDI Single Link output, X2. Delivers full 4K/UHD on a single BNC. Greatly simplifies wiring and connections. Available for all new 4K/ UHD CCUs. 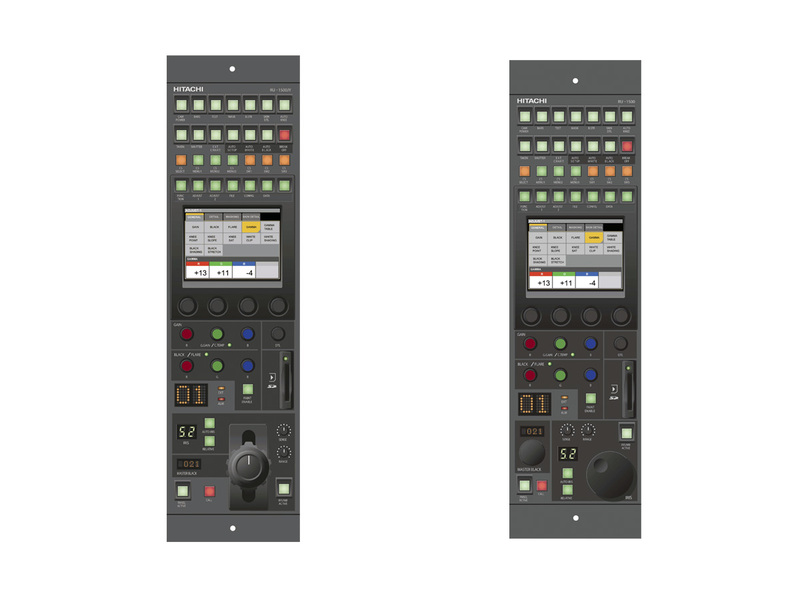 SU-1000: Master Setup Unit for 12 cameras, expandable to 128 cameras. 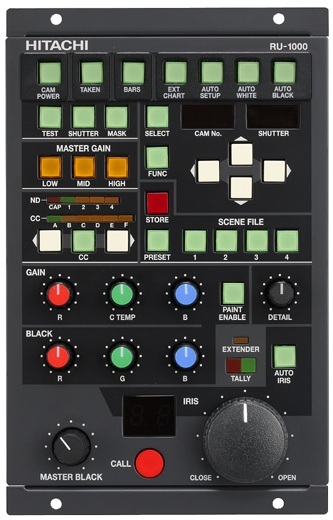 Provides access to all camera operation and adjustment parameters. 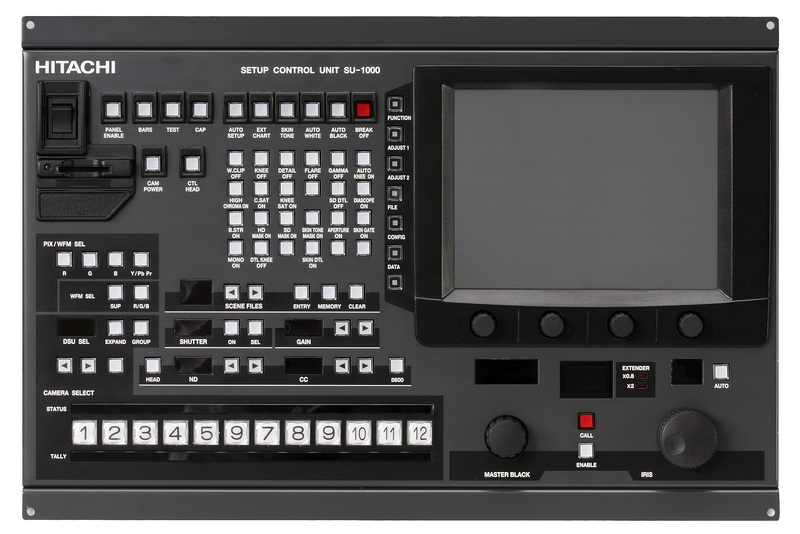 RU-1500VR/JY: Advanced Remote Unit with color touch-screen and network control for demanding, live production environments. Free Ross Dashboard Graphical User Interface (GUI). Connects to all CCUs that have a RJ-45 connection. 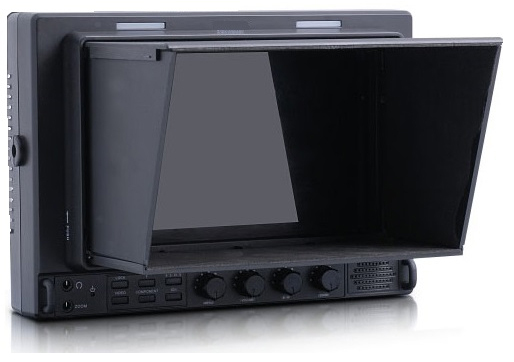 RU-1000: Small form-factor, basic remote control panel. 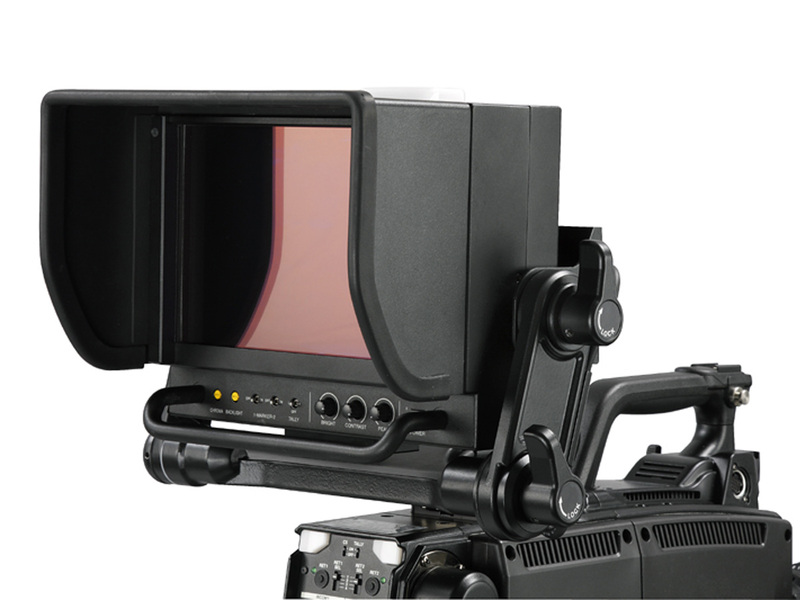 SA-1000: Heavy-duty, large box lens adapter and system expansion unit for studio and field production. 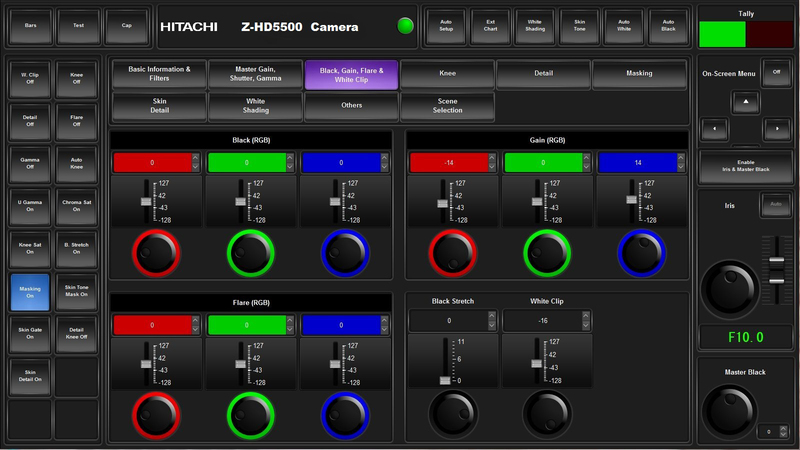 Designed for use with all Hitachi HTDV portable cameras. 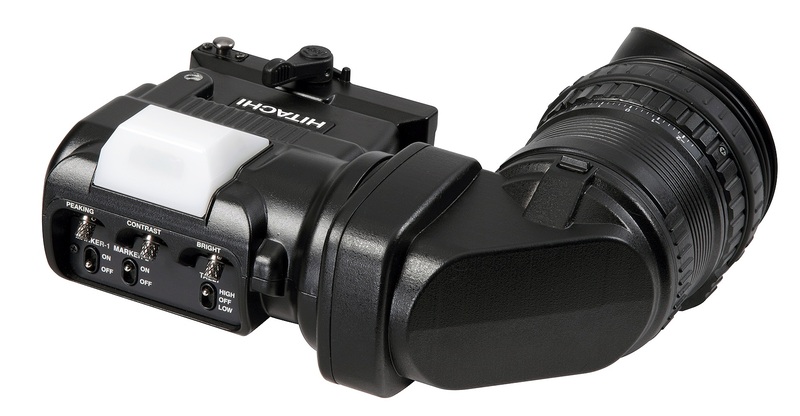 VF-L20HD 2-inch LCD viewfinder. Built-in heater reduces display lag in cold weather. 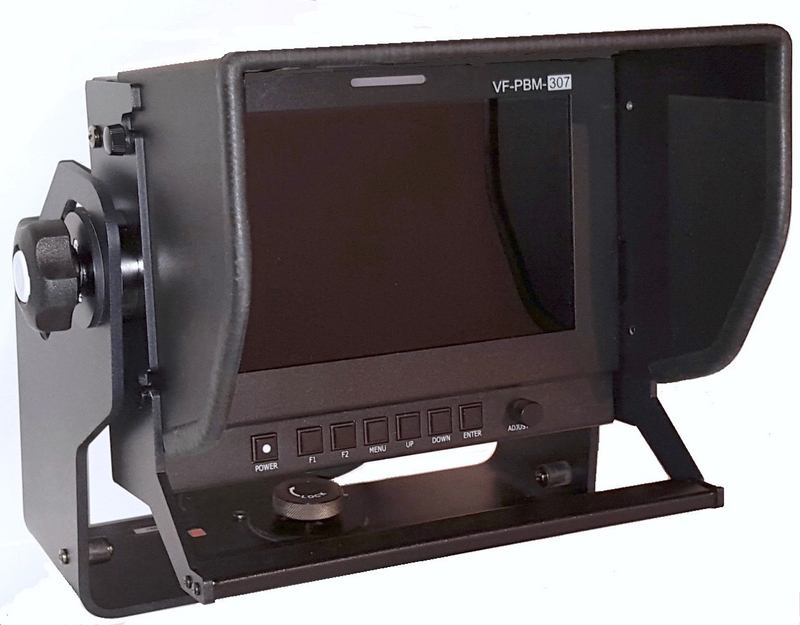 VF-701HDA 7” High resolution LCD viewfinder. Uses AT-500 or AT-90 mount. 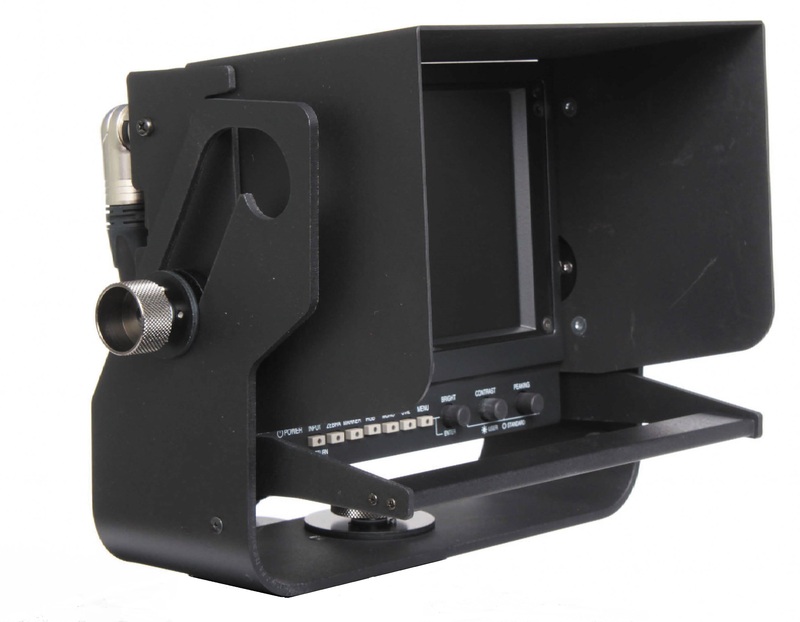 HDF-700H 7 inch LCD color HD viewfinder. HDF-EL800H 7.4 inch OLED color HD viewfinder.